Alfama is the oldest district of Lisbon, spreading on the slope between the St George Castle and the Tagus river. The Lisbon earthquake in 1975 did not destroy the Alfama district, which has remained a picturesque labyrinth of narrow streets and small squares. Lately the neighbourhood has been invigorated with the renovation of the old houses and new restaurants where Fado can be enjoyed. 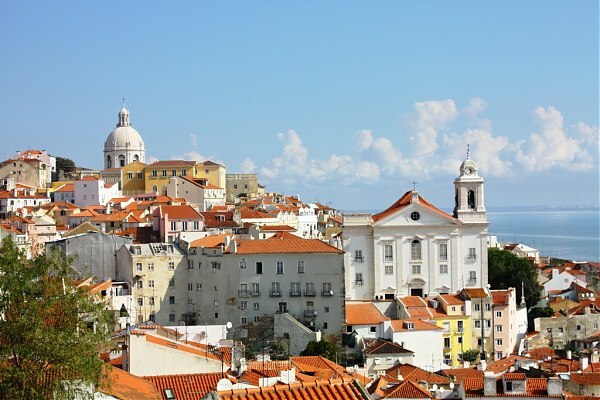 Visiting Alfama is to visit the architecture, the sounds and the smells of old Lisbon. Apartment 37 is wonderful flat located on the 3rd floor of a building from the 18th century, at Alfama one of the oldest parts of Lisbon. 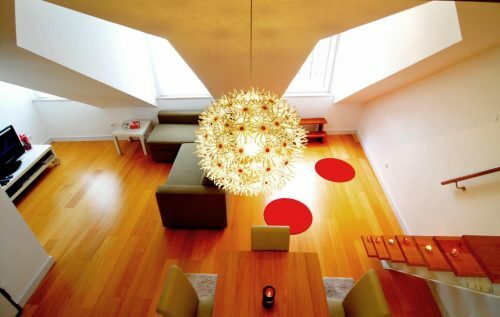 This stylish high standard apartment is on the first floor of a building in Graça neighbourhood. Nearby you have various forms of traditional commerce, and it is walking distance from the majority of the most popular sightseeing destinations in Lisbon. 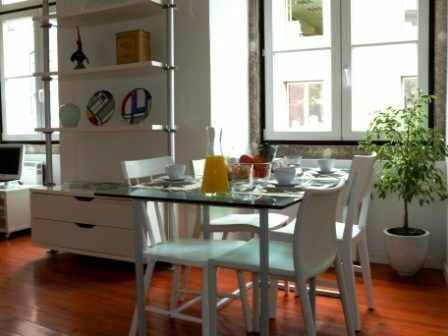 Apartment 99 in Alfama is a studio located on the fourth floor of an ancient building. From the apartment you have a beautiful view! This apartment in Alfama is a short walking distance from the other picturesque neighbourhoods of Baixa and Castle. Apartment 120 is located on a third floor, no elevator. This is a 2 bedroom apartment, with a super decoration. We do have many other accommodation options in Alfama! Check our apartments in Alfama old town area!